Many women battle dry, damaged nails that split, peel or break. 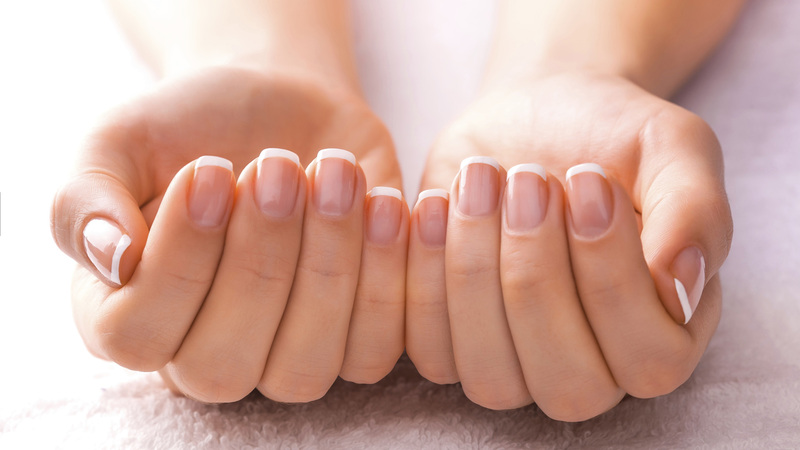 Though sometimes weak nails are hereditary, you can take some measures to help your fingernails grow longer, stronger and healthier. Follow these tips to help prevent and repair damaged, brittle nails. For weak, thin nails, soak them in extra virgin olive oil 10-15 minutes a day for a month, then twice a week thereafter. This inexpensive home beauty treatment will help fortify damaged, weak or peeling nails. A soothing cuticle cream like Burt's Bees Lemon Butter Cuticle Creme helps nourish dry cuticles and brittle, damaged nails with vitamin E. Massage the cream into and around your nails nightly before going to bed. Sally Hansen Miracle Cure for Severe Problem Nails works wonders. It stops nails from peeling almost overnight. Using a mineral rich formula with protein and antioxidants, this treatment helps restore dry, splitting, damaged nails. A clear coat of nail polish may also help protect nails. Your fingernails aren't intended to be tools to open soda cans, dial the phone and other tasks. Instead, use a pen or other object rather than your fingernails to do these everyday tasks. Vitamins are essential for your overall well being and can do wonders for your nails too. Lack of vitamin A, vitamin C and calcium can cause dry, brittle nails. Be sure to take a multivitamin and calcium supplements daily. Also be sure to eat a protein and calcium rich diet. Don't use nail polish remover more than once or twice a month, if possible. And never use a nail polish remover that contains acetone, which can dry and damage nails. Try Josie Maran's Bear Naked Nail Wipes. Massaging your fingernails stimulates blood flow to the area, helping them grow longer and stronger. Use a moisturizing lotion and massage hands, cuticles and the nails themselves. Also, get into the habit of applying lotion immediately after washing your hands. We all know how good water is for your overall health and that goes for your nails too. Drinking water can help hydrate dry, damaged nails, just like it does for hair and skin.